Whether you have been traveling across Europe and currently you are in Croatia, or you are exploring Croatia, this three day escape from the crowd will give you an introspection of the daily life on the Dalmatian coast, it will give you an idea of the Mediterranean as it once was. 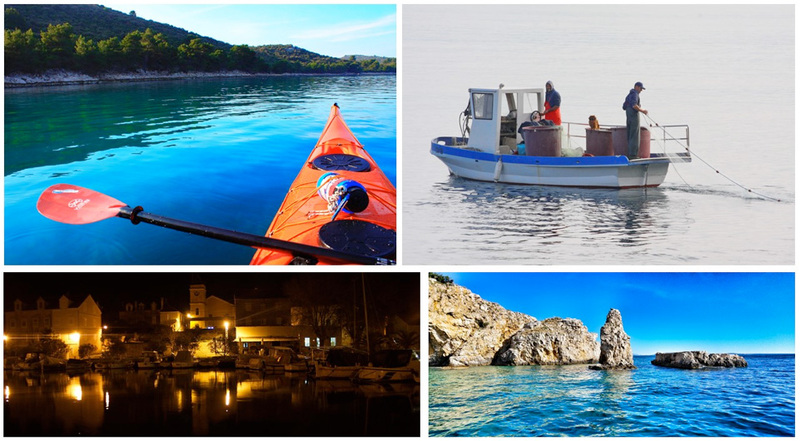 This three-day escape has a bit of everything; it’s all you can expect, so get ready for a moderate blend of sea kayaking, history, UNESCO heritage site visits, inventions, crystal clear water, corals, and, of course, Dalmatian cuisine! and More than 100 Islands to Explore! 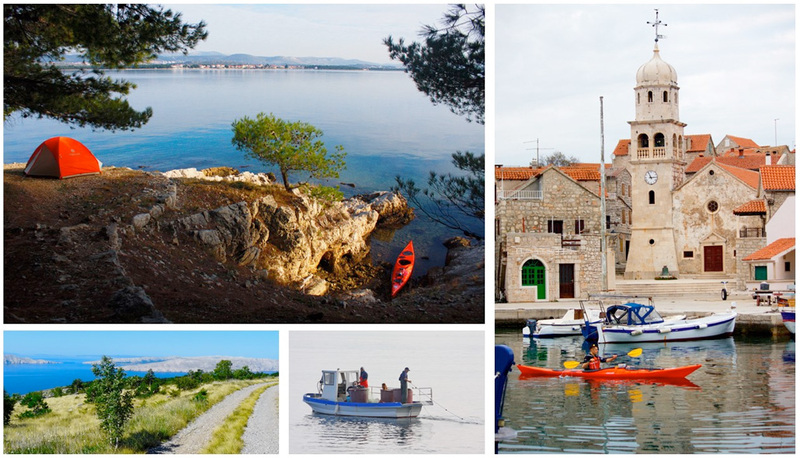 Historical sightseeing by sea kayak, Uninhabited island exploration, Swimming, Snorkeling, Hiking, and Exploring Croatian Cuisine! DAY ONE – WELCOME IN ZLARIN! Upon your arrival to Zlarin we will accommodate you in the hotel Koralj prior to our tour brief and coffee-break meeting to make you familiar with a program for the next three days. Today we will go easy on physical activities and will make sure you enjoy pure nature that Zlarin and its surrounding provides for us. After introduction to a sea kayaking part of this tour and a gear, short paddle will take us to one of the most impressive architecture sights from 16th century, St. Nicolas fort, built to protect Šibenik from invasion of Ottoman Empire. After sightseeing of the fort we will continue to paddle to nearby Jardija, small settlement to get a bit of daily life of locals, make coffee break and have some food. We will wrap up the first day with a dinner after our arrival to the hotel. Soak in the atmosphere of Zlarin by wiggling through many narrow streets after dinner. See you at the breakfast! As we are already familiar with a gear and the area, today will be exploring uninhabited islands, Tijat and Obonjan! Despite not being inhabited those island are popular stops for sailors because of their coves, bars, and restaurants so today we will have a mixture of paddling, coffee breaks, swimming, snorkeling, hiking (optional), sunbathing, and of course, get to know the area better from a history perspective. Today’s paddle up to 7 nautical miles will give us enough time to explore few more islands, having a picnic lunch at one of many nearby beaches. The island of Obonjan is considered as one of the newest party islands on the Adriatic coast so we can check it out what is going on there. Catching up sunset while easy cruising back to Zlarin will be our last activity of the day. Take well deserved break and I’ll see you in the morning. Inventions!! That is the key word of the day. 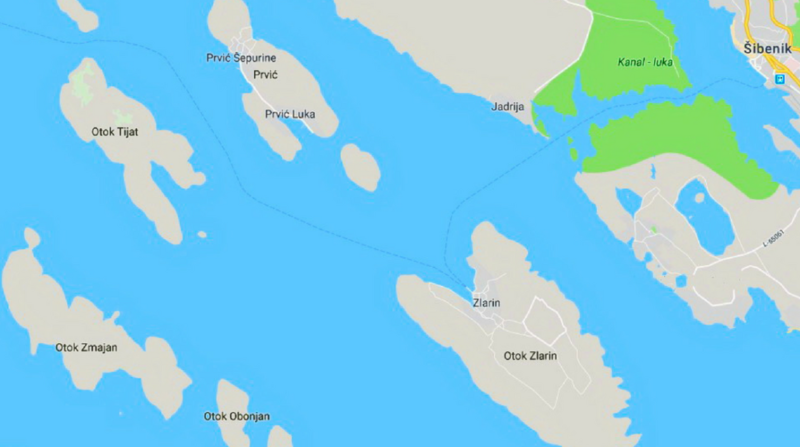 We will be paddling to another inhabited island of šibenik’s archipelago, the island of Prvić. Just 2 Nm away from Zlarin, Prvić is a birth place of Faust Vrančić, the inventor of the parachute as we know it today, and the author of the first European dictionary from 1595, written on five languages. We will visit a memorial center of Faust Vrančić to get know better an amazing legacy he left behind and how he shaped the world we know today. After exploring Prvić and taking swim on nearby beaches, we will be heading back to Zlarin to wrap up this trip in a late afternoon. We hope you enjoyed this short and sweet escape from busy Adriatic. This itinerary is subject to change due to group abilities, weather, water levels, or special events of interest, and to avoid unnecessary risk or discomfort. In the case of severe weather, we reserve the right to conduct alternate and/or substituted programming. The area covered by this tour is the most island-dense area in the Adriatic, with an average distance between islands of only about a half-mile, and there are many islands and coves along our route. The proximity of the mainland offers protection from wind, waves, and unpredictable weather. However, in a case of emergency, the Coast Guard is only a few minutes away at any given point on the tour. In addition, we have a speedboat for support. Wearing a PFD is mandatory whenever we are on the water. Please also understand that we will be asking you frequently to drink enough water! Hydration is important. Croatian cuisine is based on meat and fish, and we will serve you mostly traditional food. If you have dietary needs or food restrictions, please let us know when booking your tour. Vegetarians and vegans, you are more than welcome to request what you would like to see on the menu and we will do our best to blend traditional cuisine into your meals. 1% of proceeds go to a local organization of environmental conservation. Price includes: sea kayaking gear, accommodation, meals as noted in the itinerary, English-speaking ACA Level 3 coastal kayaking instructor/guide with international experience (Wilderness First Aid & CPR certified, boat skipper, biking tour guide), snacks and water, snorkels, insurance, sojourn tax. Contact us today to register for a day-trip, multi-day tour, or rental reservation. Limited spots are available.